If you’re considering investing in a new pair of binoculars but aren’t sure which brand to choose, have you taken a closer look at Carson? Combining quality and innovation with affordability, they make some excellent products that are worth considering. Founded in 1990 by former Wall Street banker Richard Cameron, Copitar USA (as it was known then) sold unique electronic binoculars made by Copitar Japan – out of Cameron’s mother’s basement on Long Island. As the company grew, it became Carson Optical and expanded to offer different brands of highly rated binoculars and other, related products. While Carson grew and moved out of that basement on Long Island, it continued to place emphasis on products that would help to improve the overall customer experience. After 25 years, that focus on quality and customer happiness seems to still be apparent. Today, Carson’s team of engineers and designers are dedicated to creating innovative products with3d trademark ingenuity and craftsmanship. The company has already registered over 100 patents yet while managing to balance quality with affordability. 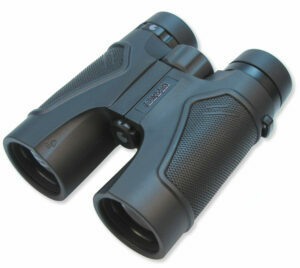 Carson offers several different ranges of binoculars, for all kinds of hobbyists and budgets. One line is their 3D Series, which features nine different pairs of binoculars. Some have ED glass to offer the clearest image possible, and all are lightweight and ergonomically designed. This makes them great for long hunts and all-day bird watching excursions where both the wide view and the weight of the optics tend to matter. Carson also offers the VP Series, featuring five different pairs of more affordable binos. They’re versatile and excellent for the majority of outdoor activities, such as hunting, bird watching, hiking and fishing. Different pairs offer different magnification and diameter, so someone who’s after a wider view can differentiate from someone who’d prefer to see more fine detail. Carson’s XM series also offers some pairs for hunting and bird watching, as well as those for outdoor activities and sporting events. In contrast, the JK series is ideal for hunting, bird watching, hiking and fishing and the RV series is designed for casual outdoor activities and events like watching racing, outdoor sports and even festivals and concerts. Within each line, the company features both full size and compact models, giving options to those who want to power of a large set of optics or those who crave both performance and portability. They even have a range of mini-zoom binoculars that are compact and can zoom in to see little details at sports and cultural events. In addition to their binos, Carson also makes monoculars, rifle scopes, spotting scopes, night vision glasses, telescopes, microscopes and magnifiers. If that isn’t enough, they also have related accessories and a range of optics designed for children. While they’re not in Cameron’s mum’s basement any longer, Carson still has its headquarters in Long Island, USA. Though they are known as the number one manufacturer of magnifiers in America, it is worth noting that many of their components are produced in China. This process has been considered carefully, according to Richard Cameron. It’s subject to strict quality control and a careful arrangement with a top optical manufacturer in China. While some might be hesitant to purchase anything labeled “made in China,” such products are proving to be of increasingly high quality. In Carson’s case, outsourcing some of their manufacturing may not have put their craftsmanship in jeopardy. Do you own a pair of Carson binoculars? What has your experience been of their quality, and what do you use them for? We’d love to hear from you.